All our Bulgarian villa and apartment rental prices include your weekly cleaning, bedding and towels and 24 hour assistance from the Pride Rentals team during your Bulgaria holiday. More and more people are now choosing Holidays in Bulgaria as their first choice holiday destination. Attractions range from the stunning golden beaches of the Black Sea coast, to old monasteries nestled between wild mountain forests and crystal clear lakes, and vibrant cities with their bustling shopping districts and cultural attractions. Whatever your interests, there is something for everyone during Holidays in Bulgaria. Bulgarian people are renowned for their hospitable nature and you will find them friendly and accommodating. And to say prices on holidays in Bulgaria are cheap is an understatement! Whether you want to shop for gifts and designer goods, or sample the array of food and drinks on offer, you'll find your money goes a very long way. Taxis are also very cheap if you chose to stay in a village but want the odd night out. All our holidays in Bulgaria are located in the north-east of Bulgaria, within easy reach of the best Black Sea resorts and the cosmopolitan sea-capital city of Varna. Below you will find a guide to the best the area has to offer. All these places are easily accessible during holidays in Bulgaria from all of our properties if hiring a car. Varna is the second largest city in Bulgaria, with a population of around 890,000 people. There are few cities like it in the world, and in many ways it shares a vibe with Rio de Janeiro. At the sea front is a great beach, separated from the city by the famous Sea Gardens. Albena is a purpose built resort which is approx 45km north of Varna. It has a reputation for being more up-market and "architecturally inventive" than the other Black Sea resorts, and is probably the most efficiently run and cleanest. Balchik is a very charming town dating back over 16 centuries, when it was first inhabited by Ionians and popular with people taking their holidays in Bulgaria. Byala is situated on the beautiful Black Sea coast, with a population of about 3000 people. 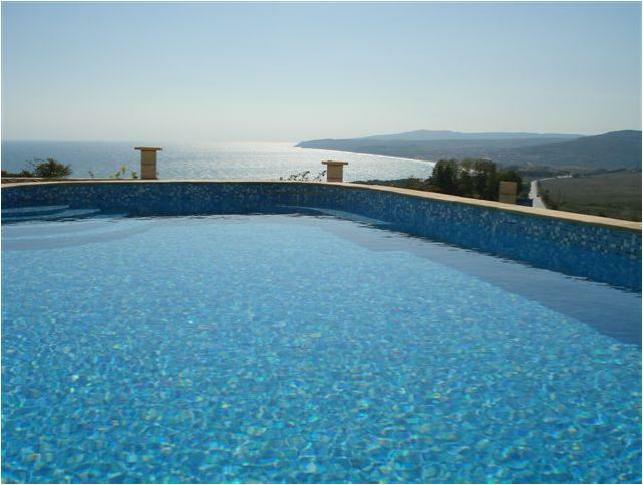 Famous for its thriving wine industry, Byala is becoming a much sought after residential area. Heralding itself as "The Birthplace of Bulgaria", the town of Dobrich lies 30km inland from Balchik. The town's animated centre, interesting history, well-manicured parklands and proximity to the coast are already leading to an infiltration of tourists and foreign buyers. The Golden sands resort is 17 kilometres away from Varna. This aptly-named resort is second only in size to Sunny Beach, but has not been over-developed in the same way. Kamchiya beach is located 28km south of Varna and is one of the most beautiful sights along the Bulgarian coast. Besides various trees, bushes, ferns, reeds and yellow water lilies, the region is best known for its wide beaches, and the river Kamchiya. Kavarna is currently re-inventing itself - the mayor hosts regular rock festivals in the stadium here and a lively resort is developing around the town's central beach area where there are also plans for a yacht port and marina. Obzor town lies on the skirts of the eastern part of the Stara Planina Mountain with the mountain ridge rising to the west of the city and the Dvoynitsa River bounding it to the north. The long beach by the town extends from the St. Atanas cape to the north to the southern Mona Petra cape to the south. The town of Shabla is situated just 24 km south of the Romanian border, 80 km north of Varna. The small town is a fast-developing resort and boasts one of the most unspoilt and wild beaches on the Black Sea. The town is named after two Czech brothers Karel and Herman who founded Bulgarian archeology in the late 19th century. In 1882 they immediately began sorting out and cataloguing the regions antiquities. Staying in one of our village properties during your holidays in Bulgaria, you will be charmed by the hospitality and friendliness of the Bulgarian people. You will probably see more people traveling by donkey and cart than by car!